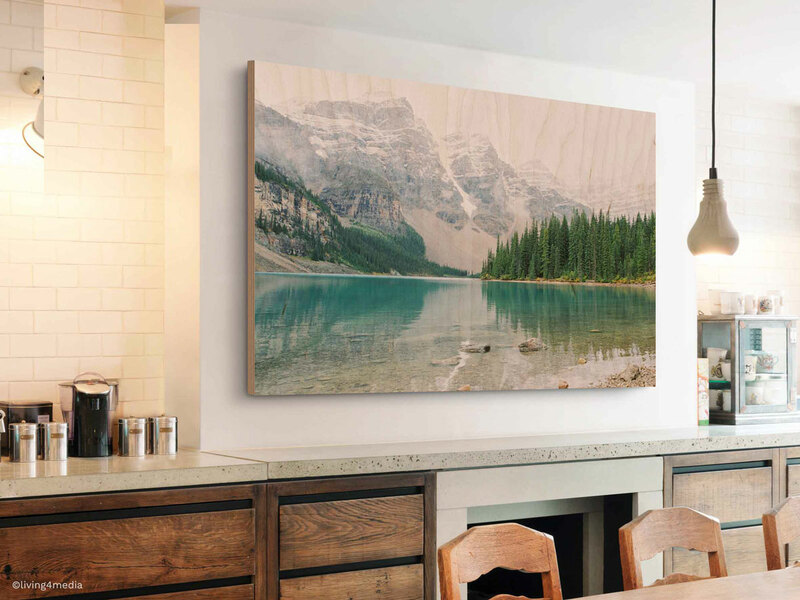 Photographers have no shortage of unique options to offer clients or to present their own work, and WhiteWall continues to add to the mix, with its new Direct Print On Wood product. Made from a single piece of birch, the grain of the wood actually becomes part of the final print. WhiteWall uses a seven-color printing process to print the photo onto a piece of ¾-inch-thick layered wood, with the grain appearing especially in the brighter areas of the individual photo. The end result is a unique nature-inspired piece of art. Direct Print on Wood products can be created in custom sizes up to 40×36 inches and come ready to hang on walls; smaller sizes are available for desktops, bookshelves and similar spaces. Pricing and additional information about WhiteWall’s Direct Print On Wood can be found on the WhiteWall website. Berlin, Germany / New York, August 22, 2017 ― At WhiteWall, fans of pictures with a rustic look are barking up the right tree. 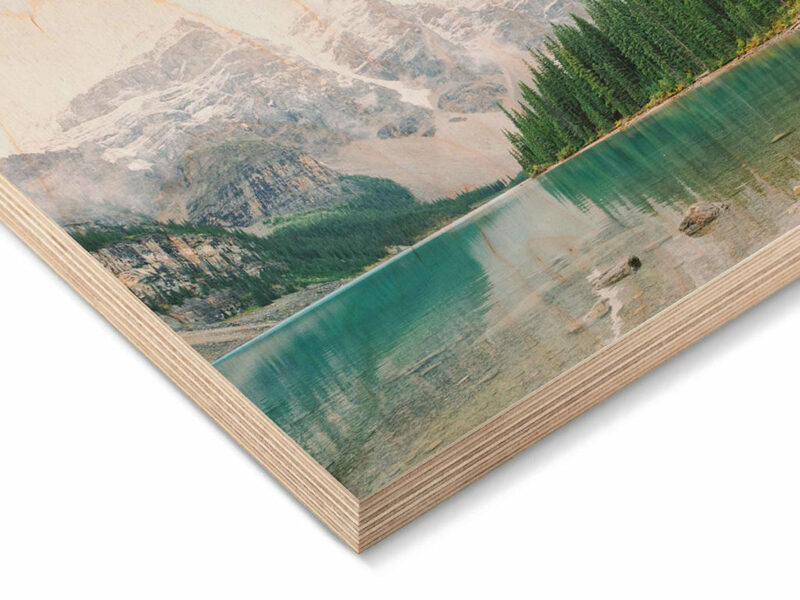 The online photo lab is expanding its product selection to include the very natural-looking Direct Print On Wood. Its birch wood grain is clearly visible and all orders are produced in exact custom sizes. Every piece of wood used in this process is taken from the tree in a single piece, allowing the grain to remain consistent throughout the print, even with larger format orders. Photos are printed directly on a durable, ¾ inches thick layered wood in a 7-color printing process. The untreated, natural version is truly an all-purpose substrate in which the wood grain really comes through in the white and brighter parts of the image. On WhiteWall.com, the Direct Print on Wood is available in custom formats up to 40 x 36 inches, can be ordered with rounded or cut corners, and arrives ready-to-hang. Formats of up to 8 x 6 inches can also be stood on desks, shelves, or windowsills. WhiteWall is a professional online photo lab based in Berlin, Germany. Their unique blend of custom photo processes and finishing services have provided photographers and consumers alike with gallery quality products since 2007. Best known for its photos under acrylic glass, brilliant HD Metal and aluminum prints, and hand-crafted frames, the award-winning online photo lab offers over 1,000 different product variations. As the exclusive lab for more than 40 LUMAS galleries around the world, all WhiteWall customers can be assured that their photos are given the same white-glove, professional care as those displayed in exhibitions. All products are produced in Germany, available in custom sizes and shipped worldwide in custom cut packaging for maximum protection. The showroom and retail store in New York City gives customers an opportunity to see all the WhiteWall options on display and receive professional assistance onsite before placing their online orders directly to WhiteWall.com from kiosks located in the store.